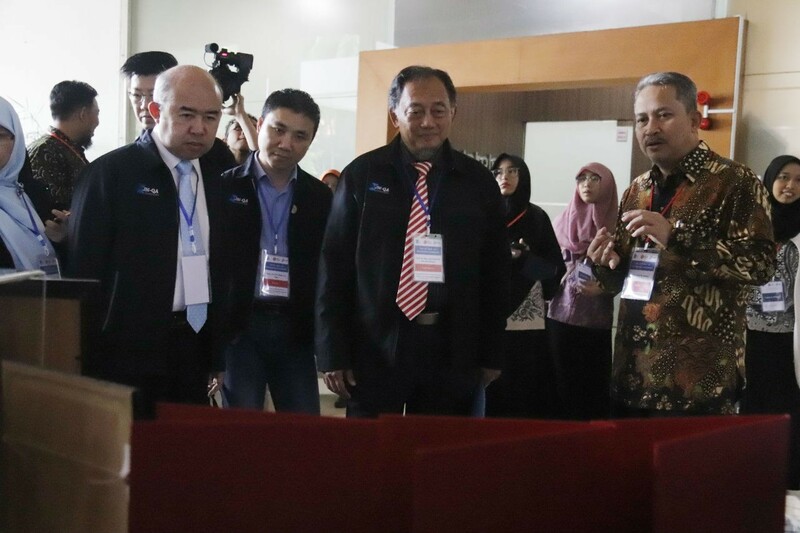 ITS Campus, ITS News – The assessors of the ASEAN University Network-Quality (AUN-QA) began their visit to Institut Teknologi Sepuluh Nopember (ITS) to conduct assessment to four departments on Wednesday (1/30). The assessment intended to obtain AUN-QA certification. 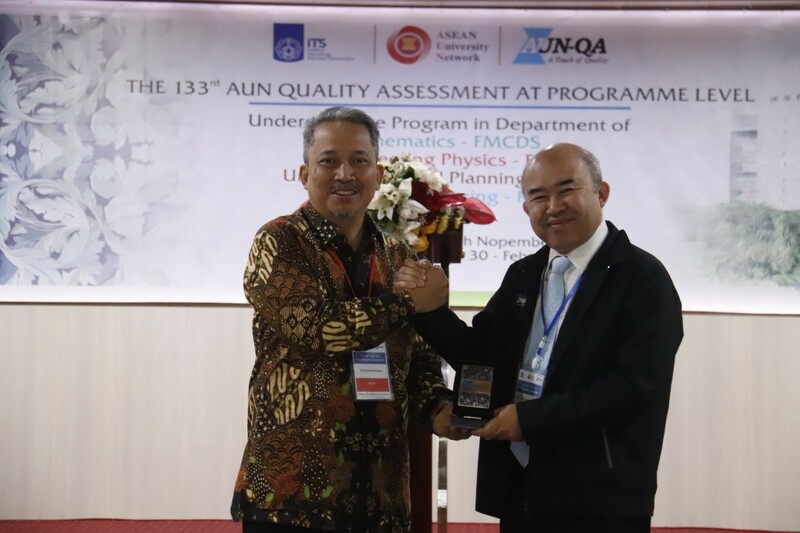 Nine assessors led by Prof Ir Dr Shahrir Abdullah from Malaysia, Vietnam, Thailand and Philippines are ready to conduct an assessment until 1st February 2019. The visit is to confirm the files submitted earlier by Mathematics Department, Engineering Physics Department, Marine Engineering Department, and Urban and Regional Planning Department (URP). Rector of ITS, Prof Ir Joni Hermana M ScES PhD said that this year’s AUN-QA assessment is the fourth times for ITS since 2015. Until today, there have been 12 departments in ITS that have successfully obtained the AUN-QA certification. “Every year, we are given the opportunity to submit a maximum of four departments to be certified by AUN,” he explained. In his remarks, Joni also emphasized that AUN-QA certification is not only to obtain equal recognition in the scope of ASEAN, but as proof of ITS’s commitment to improve its quality. “We want to guarantee the students of ITS to have the best in terms of quality in their study,” he said. According to the rector, who will end his term in April 2019, the purpose of AUN-QA’s assessment event for every year are to have criticism and recommendation from other party in order to achieve one of the major goals of ITS, namely to provide the best quality for its students. Joni explained that since 2015, ITS is increasingly aggressively improving quality by following international standards, one of which is through AUN-QA. Although there are currently 12 AUN-QA certified departments, ITS remains committed to continuing to add to the collection of departments that are AUN-QA certified in the future. “We are targeting every four departments to be proposed to be able to get this AUN-QA certification, so that later all departments in ITS can be certified,” said the professor of Environmental Engineering. Although the requirements and regulations for this year are not much different from the previous ones, Joni admitted, ITS has been making preparations for the AUN-QA assessment since 2019. Right after the AUN-QA 2018 assessment period ended, ITS immediately conducted an evaluation through the results obtained from the AUN-QA assessors. Furthermore, for almost a year, ITS gradually improved its quality to ensure maximum results in AUN-QA certification. 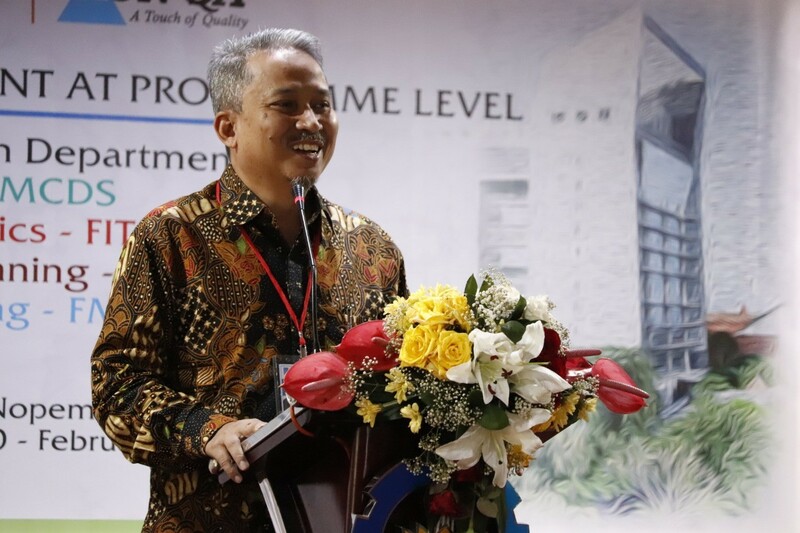 Meanwhile, Head of ITS Urban and Regional Planning Department (PWK) Dr Adjie Pamungkas ST Mdev PIg PhD explained, there are many improvements taken by PWK towards this AUN-QA certification. Although classified as new department, PWK proves to be able to compete. Even in terms of internationalization, apparently PWK ITS has had 13 university partners spread from Asia to America. “For the collaboration carried out, it will also vary, such as student exchange, joint research, and so on,” said Adjie. In contrast to PWK, the Head of ITS Marine Engineering Department Dr Eng Muhammad Badrus Zaman ST MT, made AUN-QA an arena to realize its greatest motivation, namely to further raise the level of marine engineering education in the international arena. According to Badrus, the achievement of the ITS Marine Engineering Department is no doubt. Last year, the ITS Marine Solar Boat Team, which was made by the department at the Faculty of Marine Technology, won the championship in The Netherland. There are also medals at the Harvard Model United Nation (MUN) obtained from students who are members of the ITS MUN Club. 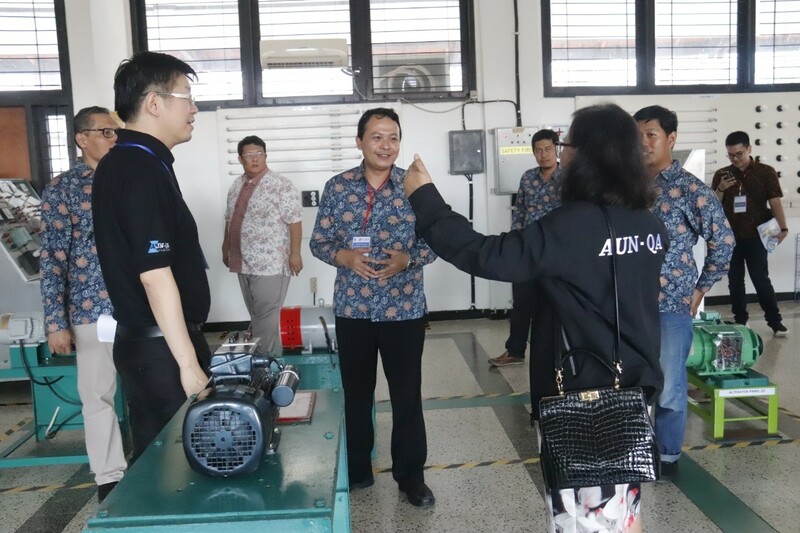 “Not forgetting also LKTI champions regarding maritime development, safety design competitions in America and Thailand, and conferences,” he explained. To deal with this certification assessor, the Engineering Physics Department has also fixed itself. 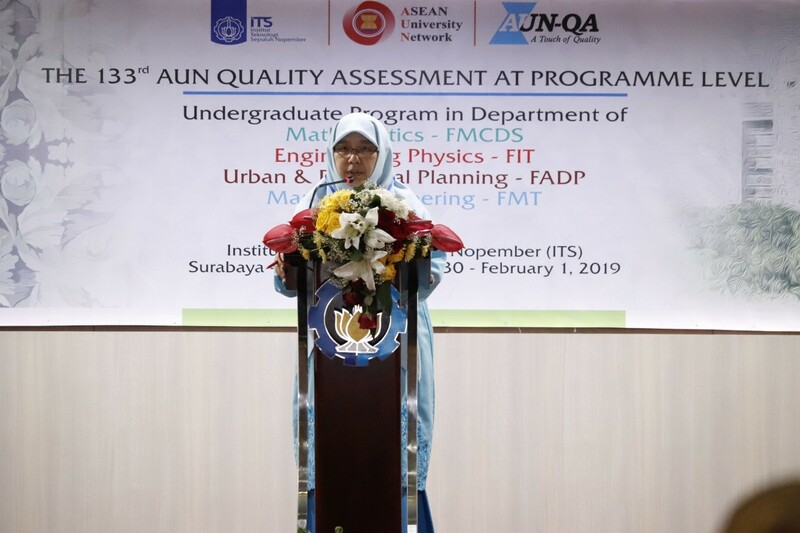 In order to prepare AUN-QA assessors visitation, Head of the ITS Engineering Physics Department, Agus Muhamad Hatta ST MSi PhD, said he was more concerned with improving the quality of learning. “That way, parents who entrust their children to the Engineering Physics Department will always be confident in the capabilities of ITS in preparing competent graduates,” he said. The Head of the ITS Mathematics Department, Dr Imam Mukhlash SSi MT said, the AUN-QA certification is very important for recognition regarding the quality of teaching in the scope of the department itself. By so, continued Mukhlash, this 54-year-old department graduates will be guaranteed. “It starts gradually in Southeast Asia first through this AUN-QA,” he added. When it is certified, Mukhlas believes that the process of internationalization of ITS, especially in the ITS Mathematics Department will be much easier. “Automatically all the elements in it will also be encouraged to improve quality, including lecturers, education staff, and students,” he explained.